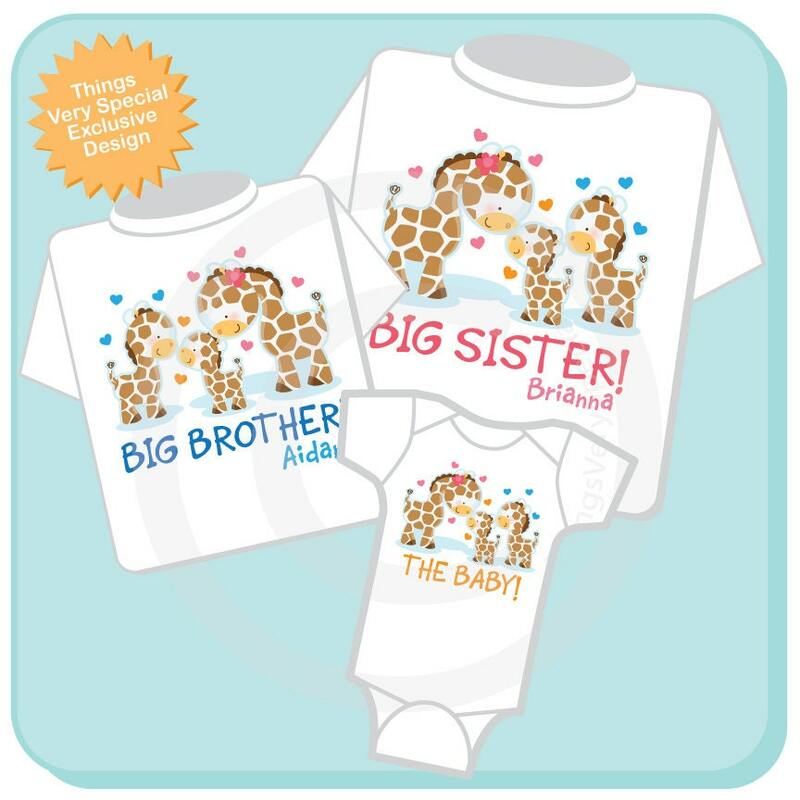 Super cute Set of three either tees or Onesies or one of each, Personalized Big Sister Girl, Big Brother Boy and The Baby Gender Neutral Giraffe Onesies or tee shirts with awesome Giraffes. This design can actually be done with any combination of boy and girl. For instance this one is (girl, boy, unknown) but could be any combination. 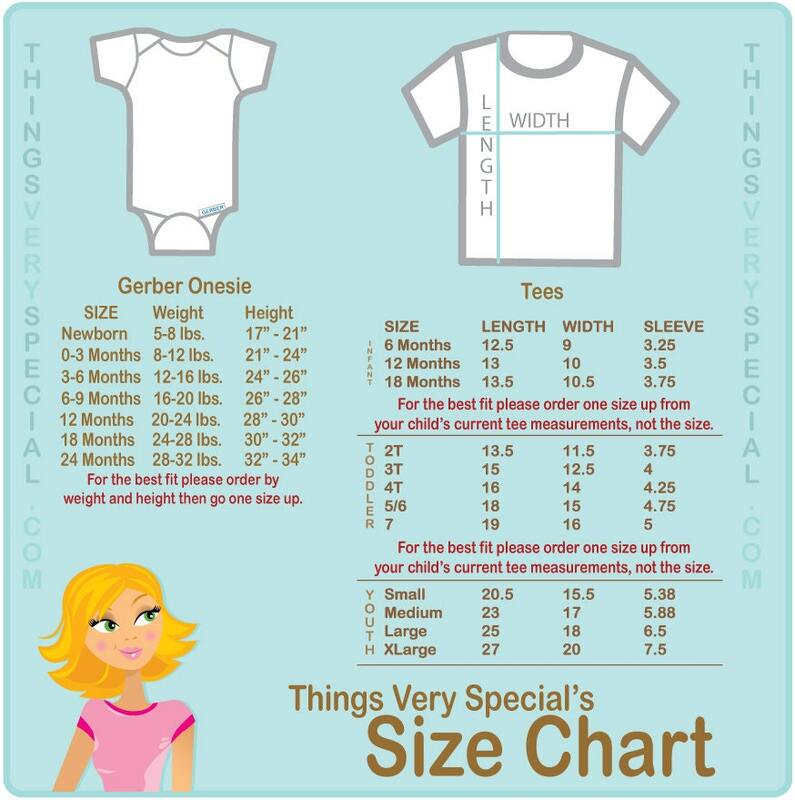 In the event that Gerber Onesies are not available I will substitute Carter's Brand Instead. Awesome job can't wait to see my great granddaughters in them.